to make sure you get the most from your loan. Compare LendingClub and Prosper, 2 reputable personal loan companies, to see which one comes out best on rates, terms, loan amounts, fees and service. Lending Club vs. Prosper: Which Lender is Best for You? LendingTree and LendingClub are both leading personal loan providers. Compare rates, terms and fees to see which one comes out on top for you. 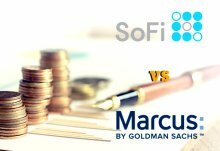 SoFi and Marcus are two of the leading personal loan providers on the market. Compare rates, terms and fees for both. Both LendingTree and SoFi are well-known names in the personal loan industry. We compare features of both to see which comes out on top. 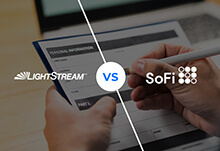 SoFi and Lending Club are two of the top peer lending platforms in the alternative lending industry, but they differ greatly in terms of loan terms and requirements, fee structure, and culture. Choosing a personal loan can lead you one step further to the financial security you’re after. When searching through the best person loans companies, make sure to check which one offers the best rates and terms according to your specific needs. 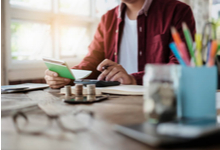 These head-to-head comparisons look at the options on categories such as application process, fees and terms, to make sure you get the most from your loan.